Bison Gear and Engineering designs and manufactures a complete line of standard and custom AC Right Angle Gearmotors and DC Right Angle Gearmotors. Used in applications for industrial equipment, beverage dispensing, packaging equipment and conveyors, Bison's line of right angle gearmotors provide the power and reliability to meet our customers' needs, including our latest addition, the PowerSTAR hypoid gearmotor. 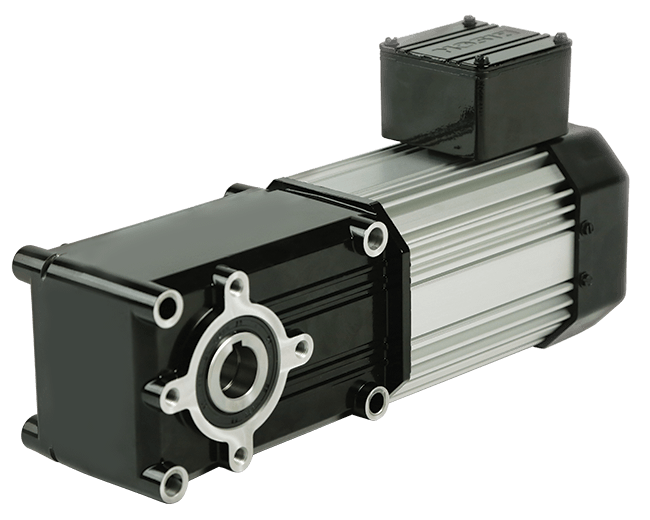 For Inverter Duty Right-angle AC gearmotors, please check out our Inverter Duty AC Gearmotor section.